At times, when there are tensions in the Middle East in oil rich states, the cost of a barrel of oil is without a doubt going to rise up. And that is exactly what has been happening in 2011 as the average price of a gallon of gasoline has risen above four dollars. The current persisting issues in Libya are hurting the American economy terribly by forcing nearly everyone to spend more on oil and gas. However, the United States government does have one secret weapon to use against the growing problem. That secret weapon is the Strategic Petroleum Reserve. Oil prices have already began to drop in the United States with the national average for a gallon of gas much lower than it was in previous months. However, with the overall American economy continuing to struggle to rebuild, the government felt it was necessary to try to drop gas and oil prices even more. According to the United States Department of Energy, thirty million barrels of oil will be extracted from the Strategic Petroleum Reserve over the course of thirty days. In the United States, we consume approximately 19 million barrels of oil per day. 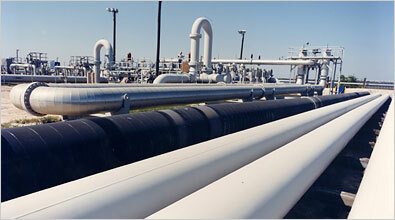 However, we only produce an estimated 9.8 million barrels of oil per day. Thus, we import just under half of the oil we use. The thirty million barrels tapped from the Strategic Petroleum Reserve are going to be enough to drop gas prices in the United States enough to give those on budgets a bit of breathing room by not having to spend nearly as much on gas. Currently, the Reserve is sitting at an all time high of 727 million barrels. The high amount is not expected to be used beyond the thirty million barrels that were announced on Thursday, but the option is there. The looks of things indicate that the oil and gas situation in the United States is going to get better in the coming weeks. As of Wednesday, the national average was back down to $3.61 per gallon and fell even more Thursday after the tapping of the Reserve was announced. All signs point to the falling gas prices being a result of the decline in demand of oil and gas in the United States as the economic crisis is causing many Americans to lessen their consumption of the valuable resource.